NEW YORK (WABC) -- More than 35 years after first breaking onto New York and then the world's music scene, the "Material Girl" is still going strong. 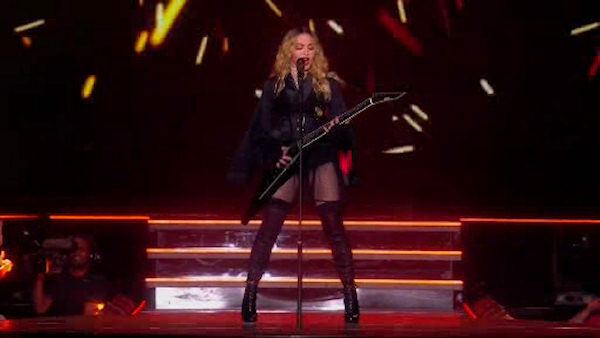 Madonna performed at Madison Square Garden Wednesday night. Comedian Amy Schumer opened for her. It was the first of three New York City shows for her "Rebel Heart" tour. Madonna also plays the Garden Thursday night, and she's at the Barclays Center on Saturday.